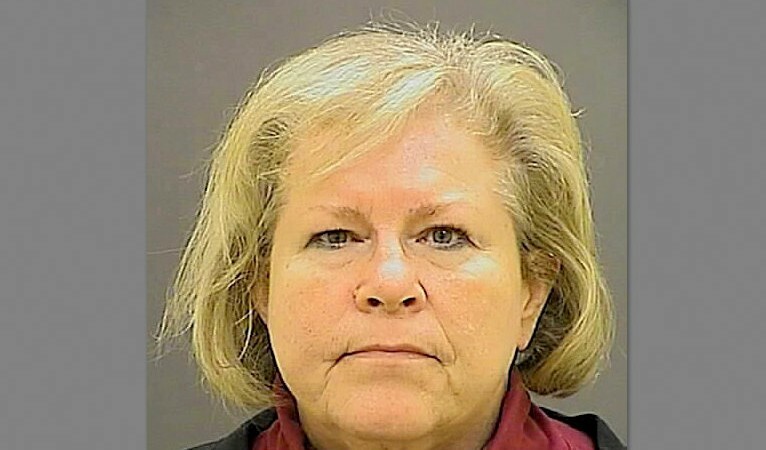 Heather Cook, the former Episcopal bishop who pleaded guilty to the hit-and-run crash that claimed the life of a 41-year-old bicyclist in 2014, has requested home detention. “Ms. Cook is asking for home detention, she is not as yet under consideration for home detention,” said Gerard Sheilds, a spokesman for the Maryland Department of Public Safety and Correctional Services. “We would have to inspect her home plan, where she would be staying, check her sponsor, check her recovery plan – it’s like a parole hearing,” he said. Cook has been incarcerated at the Maryland Correctional Institution for Women in Jessup since her October 27, 2015 sentencing. Family members of cyclist Tom Palermo, who were formally notified of the request, were incensed by the idea that Cook might be released early. The family learned of the request through a letter from the Victim Services Unit, dated April 25, that said that any response from interested parties must be received within 10 days of the date on the letter. On the community Facebook page for the neighborhood where Palermo lived, friends have posted news of Cook’s request and asked people to write letters of opposition. “Many people miss Tom Palermo and were deeply upset when he was killed by a drunk driver,” one such posting read. Palermo was riding his bike in a North Baltimore bike lane on Dec. 27, 2014 when Cook – drunk and texting – plowed into him with her Subaru Forester. She left the crash scene and later passed it as she returned home. It was not Cook’s first drunk driving incident. In 2010, police stopped her on the Eastern Shore for driving erratically on a car with a shredded tire. On a Breathalyzer, she registered .27, more than three times times the legal limit for alcohol. In the fatal 2014 crash, Cook pleaded guilty to auto manslaughter, driving while intoxicated, driving while texting and leaving the scene of an accident. She received a seven-year sentence. Last May, the former cleric requested early parole, but she was turned down after what parole officials said was a lack of remorse in front of the Parole Board. Cook never apologized to Rachel Palermo, Thomas’ widow and the mother of his two children, Parole Commission chairman David R. Blumberg told reporters at the time. Some were surprised that Cook was already eligible to request parole. But because vehicular manslaughter is not classified as a violent offense under Maryland law, an offender becomes eligible for parole upon serving 25% of his or her sentence. For Cook that milestone came in July. Now the idea of home detention for the disgraced bishop has caught some off guard as well. Under Maryland law, an offender is eligible for home detention 18 months before their release date, according to Shields. Cook’s release date currently is September 25, 2019, Blumberg told The Brew. But it could be further shortened – to as early as spring 2019 – through time off for good behavior, participation in prison programs and other “confinement credits,” he said. Conditions of the home detention could include confinement to the home except for certain purposes such as medical care, wearing a DPS monitoring device and substance abuse restrictions. The Brew contacted Mark Hansen, the former Episcopal priest that Cook has described as her “steady companion,” by phone today. We hoped to ask him if Cook would potentially reside with him at his Millington home on Maryland’s Eastern Shore. Also to confirm reports that he and Cook had gotten married at a ceremony earlier this year at the prison in Jessup. But before we could finish any questions, he hung up the phone.